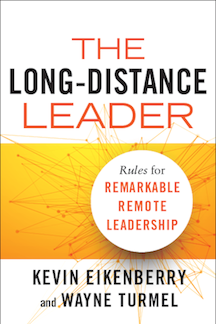 Today is launch day for The Long-Distance Leader: Rules for Remarkable Remote Leadership. This is the result of a lot of research, work with clients and looking at the way people really work today. Kevin Eikenberry and I are very proud of this book, and hope you’ll enjoy it. I share this because even though I have written several other books, and most of you who read this blog know my fiction work, launch day is always a day to celebrate and heave a big sigh of relief. The book is debuting at number 75 on Amazon’s list of business/coaching books, and we’re delighted by that. Of course, we’re looking for best-seller status. – If you lead a remote team or know someone who is, buy a copy! – If you would be willing to share on your Facebook wall (or other social media), we would appreciate that too. Thanks for your good wishes, positive thoughts, and assistance. I appreciate each and every one of you.